Super Savings Item! 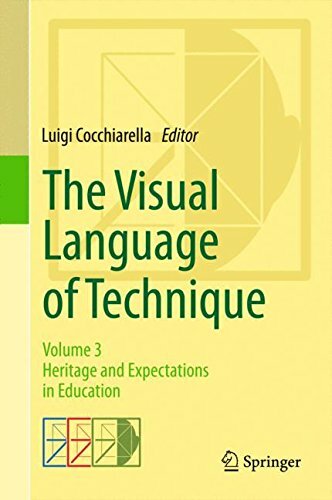 Save 40% on the The Visual Language of Technique: Volume 3 - Heritage and Expectations in Education by Springer at Translate This Website. MPN: 28 black & white illustrations, 62 colou. Hurry! Limited time offer. Offer valid only while supplies last. The book is inspired by the third seminar in a cycle connected to the celebrations of the 150th anniversary of the Politecnico di Milano (July 2013). The book is inspired by the third seminar in a cycle connected to the celebrations of the 150th anniversary of the Politecnico di Milano (July 2013). "Educating by Image. Teaching Styles vs Learning Styles" was the motto of this meeting. The contributions (coming from lectures, the poster session, interviews and round table) aim to propose an updated look at visual education, highlighting how digital tools and networks have profoundly affected the "representational styles" of the teachers and the "cognitive styles" of the learners, while at the same time reaffirming the importance of the interaction between the two groups. As Herbert Alexander Simon once said, "Learning results... only from what the student does and thinks"; therefore "the teacher can advance learning only by influencing what the student does to learn". That is no mean feat if we consider that, according to Benjamin Samuel Bloom, visual education not only involves the pure cognition, but also the affective and the psychomotor domains, not to mention the social aspects. This is why, alongside some theoretical and historical retrospectives, the contributions recommend a continuous revision of "what" and "how" could be included in the academic curricula, also in connection with secondary schools, the professional world, targeted Lifelong Learning Programmes for students and teachers. The volume includes an interview with the science journalist and writer Piero Angela.